You’re about to learn some tips to help you prepare for more mobile customers. But first, can we talk about that crazy stat about smartphone traffic? Ten times more global smartphone traffic in 2019 than in 2015! Mobile Internet consumers are to eat up ten times the data they do at the time I originally wrote this! That’s a lot of time on our phones. Bottom line: more people are accessing the Internet from their smart phones more often. Testing your site on multiple smart phone devices will help you determine how mobile-friendly it is. Testing involves using the site to complete tasks (ex: make a purchase, submit a contact form, read an article, select a page, select a tab). You can bring on a web development company to perform site testing for you, or recruit friends, family and colleagues to get the job done. The point of testing is this: you’re looking for feedback about what it is like to experience your website on a mobile device. For example, does it load too slowly for users to wait around for? Does it require much pinching and scrolling to read or select content? Is the shopping cart check out process simple, efficient and trustworthy? Basically, everything you do to make your mobile presence better starts with this question. So ask it. Brainstorm with colleagues. Call your web development company and bounce some ideas around. Spell out the answer, and then think about solutions for making it happen. Consult a marketing strategist at your web development company to learn more about your options. Smartphone users are consuming more and more content online – specifically, video content. Cisco research suggests by 2017, video will account for 69% of all consumer Internet traffic. As The Guardian journalist Chris Temple says, “online video is quickly becoming a key means for people to satisfy their information and entertainment needs.” There’s an opportunity here for small businesses to reach out where customers are actively engaged. 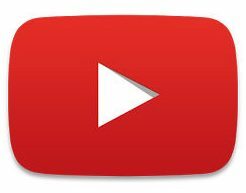 Especially, as Temple notes, “in the age of information overload, it’s vital for small businesses to offer content that is easy to digest.” Ladies and gentlemen, I give you the YouTube video channel. A YouTube video channel is the homepage for a YouTube account. Much like a Facebook Page, a YouTube channel can be customized with colour schemes, logos and text to reflect your business. From your YouTube channel, you can upload and share videos and comment on other videos. It’s where you will harvest video content for your customers to view, share and save. And the sooner you start, the sooner you’re bound to have a huge one-up on the competition. Perhaps this venture daunts you. Don’t be. You don’t have to be a Spielberg to create worthwhile video content. You just need a creative approach to showing prospects what your business is all about. Mobile platforms Instagram and YouTube show us that all you need is a smartphone camera to get started creating content for mobile users. Today, YouTube has more than 1 billion users (stats) and Instagram has over 500 million users (stats). If you want to reach more mobile users, these platforms are great places to start. This ad was placed on Instagram (notice the square-friendly format), YouTube, and on TV during the Rio Olympics. One video, one strategy, any placement. As of 2016 Instagram allows 60 second videos. This makes it perfect for content that’s long enough to tell a story, but short enough that it can be consumed anytime, anywhere. Take that into consideration when you plan to create video for Instagram. Making videos for your YouTube channel that are longer than 60 seconds? 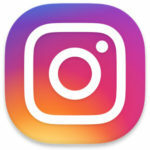 Leverage Instagram to drive more views on Youtube. Create a cut of your video that fits in Instagram’s 60 second limit to entice people to view your full video on YouTube. That’s multi-channel video content made easy. Learn more about how you can take advantage of Instagram’s new longer video limit here. When it comes to your mobile strategy, ask yourself: What will you deliver that users cannot find anywhere else? How will you stand out? How will you be memorable? And how can I get in front of the right audience? Enlist the help of your web marketing team to develop and execute a solid plan. Questions about preparing for more mobile customers? Contact us with your questions and feedback about the thoughts and statistics I’ve shared with you today. Plain Language, Please! What is Newsjacking?